In this earlier post, I described my attempts to browse Amazon as if it was as bricks-and-mortar bookshop, and my frustration at the impossibility of stumbling across surprise books which might make my day. I came to the conclusion that nobody is allowed to stumble across anything on Amazon, because you are so narrowly steered towards what they believe we either want or SHOULD want. The overall online experience is quite depressing. But there was another side to this story. Last week I went into one of my 3 favourite bookshops in Dublin, to buy a book for Father’s Day. I had no idea whatsoever what I was going to buy, so shopping online was out of the question. This is extremely unusual for me, but I’m now going to tell you what I bought that day. I normally never mention individual books on this blog because it’s an exercise steeped in disappointment, and fraught with danger, but as I haven’t read any of these yet, I’m going to go out on a disclaimer-laden limb. The reason I’m telling you about them is to illustrate a very important point will become clear in time (I know, the SUSPENSE). Just in case you were wondering, there is also a happy ending to this. These seven books didn’t cost half of what you think they’d cost. I was a very happy girl woman. Is There Any Point To Your Tedious Shopping Story, Tara? The moral of the story is: I wouldn’t have bought a single one of these books if I’d been shopping on Amazon. None of these books belonged on an ‘also-bought’ list. Each and every one had been a book I’d thought I’d like to buy at some point, but then forgot about. It made me realise that I actually forget about half the books I think I’ll buy. It’s tempting to feel disheartened sometimes as an author, to think that you might have persuaded someone to buy your book, only for them to forget. But authors, never fear. A good bookshop can make readers remember, selling your book by sometimes doing little other than reminding us what we already decided on. Amazon doesn’t do that for me. On Amazon, I might have bought just one book. Not seven. I say this not to bash Amazon; there is a role for everyone in this game. For instance, I’ve frequently bought books from Amazon which aren’t available anywhere else. Especially old titles, which are long out of the spotlight, or obscure titles, particularly in non-fiction. But if I want a gift for someone? If I want to be reminded of something I thought I’d like but forgot about? If I want to have a pleasurable experience and come away with titles which make me feel good about myself and the world? Then it’s the bricks and mortar bookshop for me. * Yeah, bro, this is a test. I do frequently complain that none of my family read my blog. Yes, all this! I am all for the iBook store, it has helped me many times when I have had time to read but no book in my bag, but there’s nothing so great as a wander round a bookshop remembering everything you want to read. I have a lovely pile of five waiting their turn patiently next to my bed, courtesy of my brilliant plan for my 40th last summer…I asked everyone to get me book tokens, then I did the same at Christmas and now I’m doing the same for my next birthday – I can’t believe I forgot about them for so many years after loving them as a kid. Perhaps there’s a savvy marketing campaign in that, Kelly… selling book tokens as an ‘experience’ as well as a voucher. I think it’s about the most thoughtful gift token you can buy, for a book lover! The marketing campaign for this would practically write itself. It should have before now, Anthony! I know what you mean… I can’t browse Amazon if I don’t know exactly what I want to read, either. It’s not a pleasant shopping experience in that sense, and I often come away desperate for my next great read and frustrated, with an empty kindle. Amazon is great if you are in the middle of a fantastic series and you’ve just finished one book and its 2am and you’re frantic to download the next one immediately and continue reading. Or if you have something that’s been recommended by a friend you trust. But aimless browsing is useless. You do need a bookshop for that, because there is too much crap to wade through on Amazon and the gold is buried beneath it. Sadly. I’m with you on the frustration, Ali. There’s nothing worse than going on Amazon or iBooks when you don’t know what you want. There’s nothing better than going into a bookshop when you don’t know what you want. But I couldn’t do without the online experience when it comes to series, or an author I’ve just fallen in love with. You’re so right – bookshops are totally magical. They are in fact Portals to the Enchanted Land of Reading. Sorry. Gotta go! I’m off to the bookstore. Never mind ‘should’ it should be made law! Despite the fact that I read very few paper books nowadays, I love bookshops and I really enjoy getting lost between the shelves. Hard to do on Amazon as I would end up reading either cookbooks or crime. My world is slightly wider than that (though not much). The main problem with Amazon, I find, is that you can’t sniff the books, that’s also the only reason I don’t have a kindle. Seriously though, I think it’s really encouraging in a digital age where music shops are packing it in, that the bookshop is still doing ok. The complete sensory experience of books can’t be beat. *ps, I read a blog where the writer said her Mum was her only supporter for years – I thought ‘lucky for some’. I know what you mean, but you have to be careful… I mean you start with book sniffing, then next thing you know, you’re taking them intravenously, mainlining genre fiction like it grows on trees. It’s a slippery slope. I find this every time I wonder through a bookshop, piles of books that I ‘forgot’ to buy. Sadly I still don’t get to read half as much as I’d like. Nowadays in Canada we have one main bookstore (with two names–but they are the same) and a few small stores spread out over a vast area. I remember when I lived in London, Ontario. They had a lovely bookshop just a stone’s throw from my house. My roommate and I wandered around there many times, making plans for books we would read when we caught up on our studies (I was a literature major, so I was never caught up and he was studying the classics). I found so many books that I have yet to read……ah someday. The pile is huge…but I am doing a good job this year. The book that I remember most wanting to read was…..I believe…the Alexandrian Quartet? or something like that. It isn’t on my radar anymore, but one never knows. And I’ve got a bunch of books out of the library. Robert M. Pirsig! I haven’t read him since college! See, now you’ve reminded me of someone else I forgot. Great list. Hope you enjoy it. You might have heard that he just died…. I did not! I hope he was old. Have to go and look him up now. Horses for courses – of course! 😀 I’m afraid that really ‘proper’ B & M book shops (that could so easily look very rude without the spacing! 😛 ) with more shelves than floorspace seldom suit my physical failings these days… 😦 Steps and uneven floors also pose probs – but the high street chains will always have browsing appeal for me still. Every bookshop should have to fulfil accessibility rules these days surely, Jan? Although the older more quirky ones probably struggle to do so. This is so true. Amazon is unable to understand the concept of gift book buying. I once bought a book for my nephew when he was small that was about trolls. For ever and ever after, I get emails suggesting I buy children’s books about trolls. My nephew is now a university graduate working at the Middle East Institute in Washington D.C. and has pretty much lost his interest in children’s troll books. But I might like to buy him something about the Middle East. It would be very hard to find on Amazon. That annoys me too, Anne – Amazon seems the opposite of the bookshop experience, reminding us instead of things we don’t want to be reminded of. Wonder what they’ll do to Wholefoods now! ‘People who bought avocados also bought quinoa’?! I suspect bookshops love is even more than we love them, Nicole! You are probably right, Tara! I love this so much. I recently did a signing in the local bookshop in my home town (the only place where I am a celebrity, assuming the attendance of several of my old high school teachers and anyone else my mother could muster counts as “celebrity”). It’s the kind of place where you can sip coffee from the shop next door and trade lines of poetry with owner before purchasing your new favorite book, which will be promptly wrapped in brown paper. Amazon is not nearly so charming. One of the problems with Amazon as with Goodreads is the algorithms they use to predict what you would like to read next. The marketing industry is forever going on about how sophisticated Amazon’s algorithm is but I dont find that to be the case – it recommends I read books I’ve bought from them in the past for example. So I have learned to ignore all of those and rely on blogger recommendations with occasional recommendations from newspaper reviews or publisher newsletters. I add these to my Goodreads wishlist. And then guess what – I completely forget that I’ve put them there….. I didn’t know that Amazon recommended books you’d already bought from them. That is a major fail, and shows that the algorithms aren’t working at all on one level. Shame on them. Really! I love browsing through bookshops and libraries too. There’s an atmosphere there that Amazon just can’t replicate. Same with reading actual books rather than a Kindle. Absolutely, Penne. I just have this gut feeling about certain books sometimes that I don’t want to read them on kindle. I love browsing bookstores. The thing is, Tara, that bookshops also are positioning books and offering a limited selection based on what they think you might enjoy. They are, in a way, limiting your choices more than Amazon does. What they do differently is offer visual eye-candy, a room full of covers where the eyes and fingers can flicker over the aisles and remember those best seller reviews. Online retailers give you the same thing if you merely look at the top sellers in different categories. You just can’t feast on them. I don’t think online retailers can give you the same thing on any level, though, Diana, which was really my point. Through several clever merchandising tricks, that bookshop led me to buying unexpected books in wildly different genres. I don’t see that as limiting. An online retailer isn’t going to recommend Hillbilly Elegy to me when I buy The Gathering. That’s why they lose out on impulse sales. Their also-bought algorithms can’t deal with bestsellers in many different categories at the same time; only the bestsellers in the same category, which is not what I want. One book from each category is enough, unless I’m buying a series. Distribution is a really thorny issue, I agree. It’s the most expensive part of the bookselling process, and that makes it truly tough. All very true, but some of us don’t stay near a bookshop with so many having closed. And to travel to one can be a nightmare of crawling traffic and non-existent parking. For me charity shops are the nearest I get to real bookshops, and they do provide a buzz when I discover a book by a favourite author, or one that looks interesting. And I’ve lost count of the many great reads I’ve enjoyed through picking up a book, author and title unknown, and discovering on starting to read that I’ve chanced on a gem. My biggest disappointment in buying a new book was when going on holiday and looking for an additional title to cram into hand luggage. I picked up a book everyone was raving about and whose cover image kept appearing on Amazon and other emails. I couldn’t force myself past the first three chapters. The lesson for me was not to rely on the thoughts of others but to go with what appeals to me, irrespective of where I buy the book. Some of the best books I’ve read have been recommendations from other people or even just mentioned in passing, Dorothy, but I agree it doesn’t always work out that way! Well, I got that one wrong. When you said ‘do you see a pattern emerging?’ I thought you were going to say all the books you picked up had been preselected for promotion in prominent positions in the shop. A sort of humanised algorithm with the book shop manager deciding what customers will want to read. Sorry. I’ll try harder in future. For the record, Youtube’s column of video suggestions has yielded a goldmine of bands and musicians I’d never heard of. Amazon never seems to do that; it seems to think we want eight versions of the same thing..
You’re not wrong, though, Chris. Whether it was a humanised algorithm or not, it worked. Each of the stash I’ve read so far has also been excellent, so it was a double hit and I’m not complaining. You’re right about YouTube too. Amazon might be super smashing at getting merchandise out of warehouses and on the road, but they haven’t a clue when it comes to the science/art of merchandising. Thanks for the re-blog, Sue! 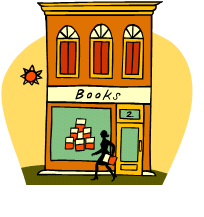 Shopping online for books definitely doesn’t compare to browsing for them in a brick and mortar store of any sort. I love to browse for books. I do like Amazon when I’m searching for a specific book or type of book though. I agree, Sonia. There is no comparison, even though we keep making it. They each have their unique offerings and deficits.